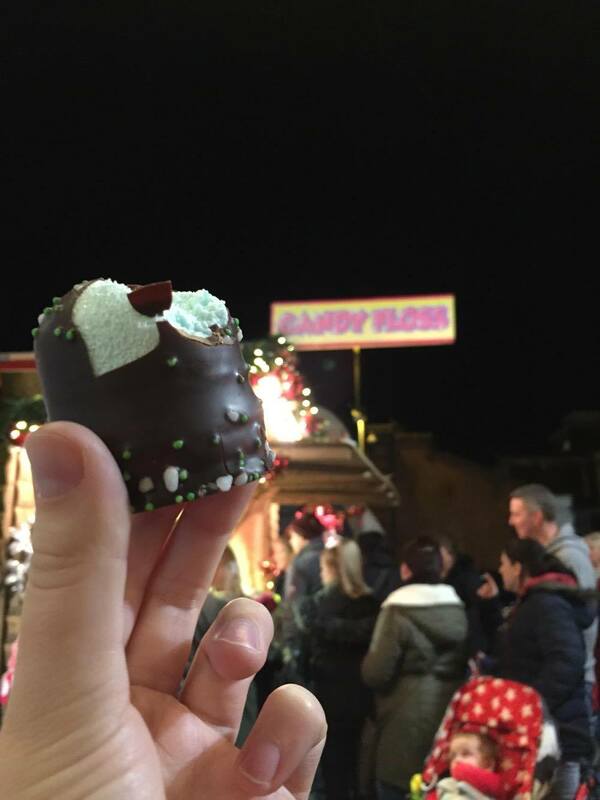 As the mid-semester stress starts to subside a little bit, I thought I would share with you some of the Christmas festivities happening in Guildford. One of my favorite things about England is how well they prepare for Christmas. 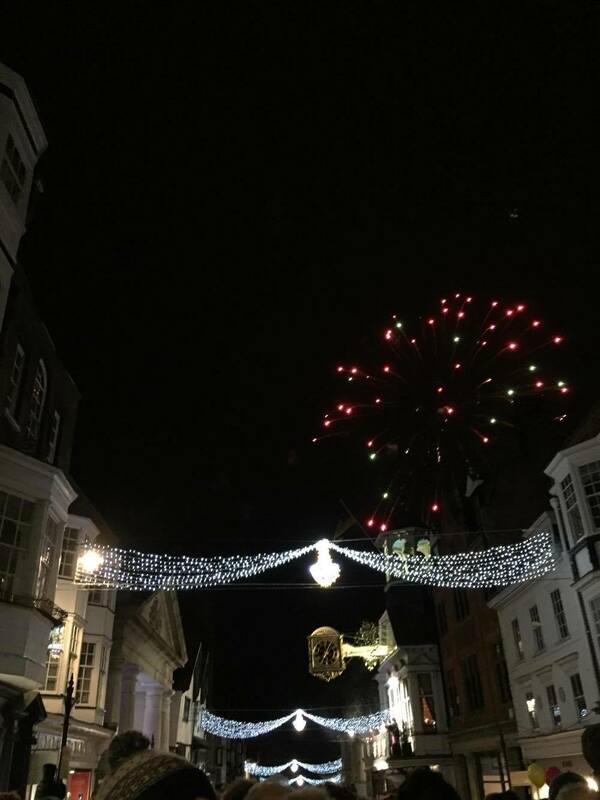 On November 16th, the whole of Guildford came out onto High Street to watch the Christmas lights get switched on, sing some Christmas songs and admire the fireworks. Although Gabrielle and I were in the middle of our formative examination week, we still took the time to get into the Christmas cheer. As we both love Christmas and can’t wait to go home, we are guilty of loving the fact that the Christmas decorations and merchandise come out so early in the fall. Additionally to the High Street excitement, there is also a Christmas Market that opened in Guildford called The Village. Gabrielle and I especially liked the candy floss stall. These marshmallow-chocolate treats are super yummy and only a pound! This was a nice little break from studying and definitely put us in a Christmas mood. 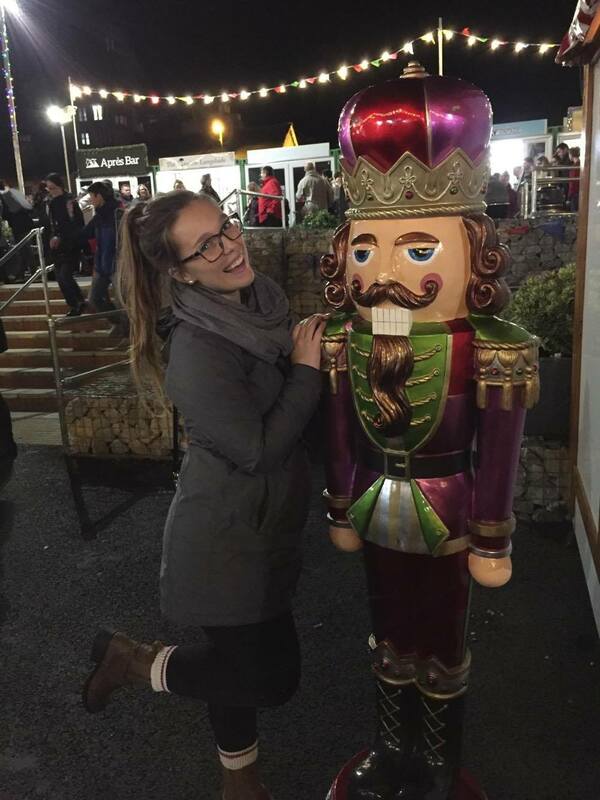 I am excited to share some of my other Christmas activities with you!